"Andrew was very approachable and could answer all the questions that we had. It felt like all the team at Andrew Morris go the extra mile for their clients. Would recommend to friends and family." "xcellent communication by phone and post. Brian has been a pleasure to deal with." "Very professional – thank you so much. Your attention was always appreciated, keep up the good work." "From start to finish the whole procedure was handled second to none. All staff involved made this stressful time so much easier, good to know you were there!." "Thanks for all your work to ensure the sale/purchase of our houses went smoothly." "Not understanding the sale of mobile homes, Andrew Morris made it easy and straight forward, Craig and Andrew explained things well." "Good communicaton throughout whole process, extremely helpful staff, excellent service at all times, would definitely use Andrew Morris Estate Agents Ltd again and recommend to any future prospective property buyers/sellers." "Throughout the whole viewing and buying process you treated my wife and myself as if we were your only concern. The whole Andrew Morris team gave excellent service keeping us fully informed at all times." "Superb personal service and attention. Brilliant market knowledge and negotiation skills. Timely and efficient communications. Streamlined service process. Additional utility knowledge, eg cleaning services, auction house etc. You provided World Class personal and professional service." "Very pleased with all aspects of the sale. Would most definitely recommend you. Thank you for your professional, friendly service." "I would recommend Andrew Morris Estate Agency to anyone. They found me a cash buyer within hours of the advert appearing. His staff were attentive and eager to please. Correspondence was plentiful and on time. I cannot see how they can improve, much better than some I know." "Please accept my grateful tanks for the sale of my property passing so smooth & professionally. I was very happy to place everything in your capable hands, your colleagues have all been so very helpful and it was very much appreciated." "I should like to thank Andrew Morris and Craig Sewell very much for making my house purchase so easy. I am very comfortable and happy living in the bungalow and hope I can keep the garden under control." "The Services provided my Andrew Morris were excellent, regular updates were given, suggestions were given by Andrew on how to increase the value of the property, local contractors for cleaning the site were given. Thank you for al your hard work in this matter. We are delighted that the sale has now completed." "From start to completion everything went smoothly.You kept me updated every step of the way & further more enabled me to make a quick sale. Thank you." "Calm and reassuring throughout the sale. A welcome surprise after London agents! Sold board now!" "Kept us informed at all times. Very confident in leaving everything to you. Your advice was always to the point, no wasting of our time, job very well done." "You kept us well informed at all times and with a good manner"
"We found the help we had from Andrew Morris & his staff in selling our house in these difficult times was first class, we have no complaints, thank you all so much, carry on being as helpful as you were with us"
"Andrew Morris Estate Agents really thought about our needs to find us the best property and they sold our house quickly and at the best price"
"A speedy, efficient service from a very helpful Estate Agents, who could ask for more?" A local, friendly and professional agency providing an expert service. Founded in 1986 by proprietor Andrew Morris, he set up an independent local estate agency concentrating solely on the sales market. Since then we have built up an outstanding local reputation whilst always looking at ways to improve and progress. Andrew has extended his expertise and knowledge to the team here at Andrew Morris Estate Agents and the company became the first Herefordshire Agency to become licensed under the new legislation announced by the National Association of Estate Agents. Andrew Morris Estate Agency are licenced members of the National Association of Estate Agents; covered by both the “NAEA – Property Mark” for our work in sales and “NAVA – Property Mark” for our dealings with auctions. This means that you can be assured we will provide the highest levels of estate agency standards and as a consumer, you are provided with greater protection. We are proud to be Hereford’s sole local estate agent for national developers, “Crest Nicholson”. We have a long standing relationship with this fantastic company and have worked together on sites such as Bobblestock, Wentworth Park and more recently The Furlongs. We also have some hugely exciting plans currently in the pipeline so stay tuned and watch this space! All of our staff are local to the Herefordshire area and all members of the sales team are trained both in-house and by the National Association of Estate Agents. Owner and Founder, Herefordian Andrew went straight into Estate Agency after leaving school in 1967. 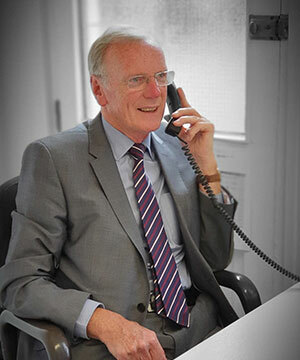 Andrew founded the company in 1986 after learning his trade at various other estate agents around Hereford city. 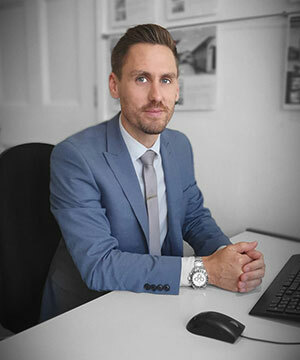 To this day he is still involved on a daily basis on all aspects of the agency – valuations & obtaining instructions, marketing the business, accompanying viewings and assisting with our new homes partner, Crest Nicholson. Andrew has recently received the highest accolade an Estate Agent can receive by the UK’s leading professional body for estate agents which regulates, guides and assists property sales professionals. At the National Association of Estate Agents (NAEA) AGM of the College of Fellows, Andrew was nominated and selected as a member of the College. Submersing himself in the community he has received great support from people across the county. He likes to be relied upon for his expertise and enthusiasm and knowledge of the market, working hard within the local community for the benefit of local people. A down-to-earth local person, who as well as selling houses is Chief Executive of Westfields Football Club - Hereford’s number one senior amateur club - he also enjoys golf and loves travelling with his wife, family and friends. Craig joined Andrew Morris Estate Agents in December 2010 and has progressed his career as an estate agent ever since. A dedicated people person, Craig has progressed to a Senior Sales Negotiator role and is able to conduct valuations, viewings and negotiates offers whilst also offering in-house training to other members of the sales team. In 2013, Craig successfully passed his NFoPP Level 3 Technical Award in Sale of Residential Property. A well-respected award which is not only a nationally-recognised industry qualification but it is also an entry requirement of the NAEA. 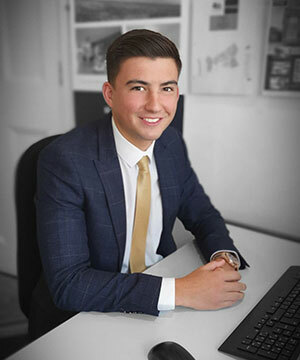 When not working hard selling houses Craig has a passion for sport, which he studied at Leeds Metropolitan University and he loves to cheer on his beloved Liverpool F.C from the terraces when he can. Craig is a born-and-bred Herefordian who is not afraid to travel. In 2008 Craig swapped the Hereford countryside for the bright lights of New York for 2 months and has visited a number of other cities and countries all over the world. 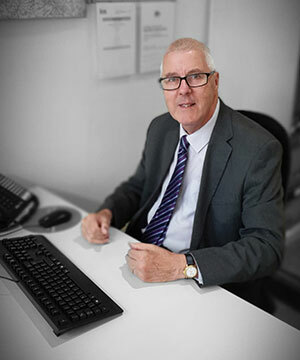 Brian joined the team in 2011 after 28 years as Support Services Manager with West Mercia Police. Here as Sales Negotiator he offers a great support to all of the team serving the front reception area, responding to incoming phone calls, negotiating sales, making appointments for viewings and property valuations & updating advertising records. He loves meeting people who call in to seek a new home and discusses their needs and aspirations with them. Brian is a very approachable person who can talk to people about living in Hereford having been born and bred here. Having triplets keep Brian very busy but he gets to enjoy sport especially football and has spent many a time on the terraces at Aston Villa with one of his sons. 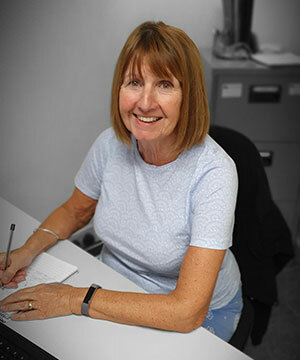 Debbie provides an excellent PA/secretarial service to the company, assisting with IT issues and reception duties when needed and monitoring the business when Andrew is on holiday. Debbie originally joined the company in February 1996 but left in December 1997 to have her daughter. She returned in November 2005 and hasn’t stopped typing since! Debbie previously worked as an Assistant Medical Secretary where she picked up great attention to detail. She enjoys all of her work, as she is a friendly and helpful person who always endeavours to do the best she can. Her spare time is spent with family, keeping fit on the Wii Fit and she is a dab hand on a sewing machine! Andrew’s wife, Sandra has supported the Andrew Morris business since it began in 1986. She had a 15 year break working as a Higher Level Teaching Assistant at Whitecross High School in Hereford where she supported numerous students to achieve their academic best. 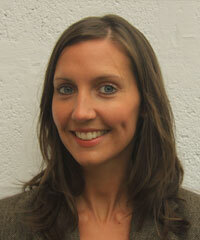 She returned on a part time basis in August 2008 and left Whitecross in July 2009. 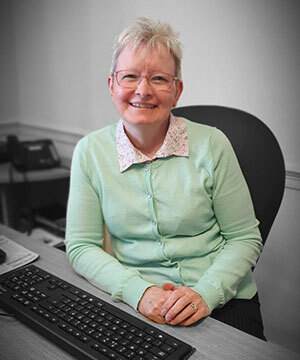 Sandra manages the money at Andrew Morris Estate Agents, taking care of the company finances, maintaining a smooth and efficient working environment for staff and customers. A born organiser and conscientious people-person, Sandra is a “Jill-of-all-trades” and can also be seen on the front desk and going out on viewings. Sandra enjoys working as part of the fantastic team here at Andrew Morris Estate Agents, seeing the delight for clients when their sale or purchase goes through. Outside of work she loves spending time with her family, socialising with friends taking holidays in England and abroad where she can catch up on her reading. Sandra also likes to keep fit by swimming, aerobics and putting on her beloved tap shoes! Andrew’s daughter Rebecca joined the team in 2011. As Marketing Consultant Rebecca ensures the best profile of the company is represented at all times whether it’s on the website, in advertising or meeting our valued customers. Prior to joining Andrew Morris Estate Agents, Rebecca worked for 7 years at allpay, the UK’s leading payment solutions provider, as Marketing Communications Manager. Her favourite part of Estate Agency is handing the keys over to clients! Rebecca is extremely organised and a real team player who always looks on the bright side of life! A fitness fanatic, Rebecca is also a partner in her own Dance-Based Fitness Company - The Starlight Company www.starlightcompany.co.uk. As a long-standing member & choreographer of Hereford Musical Theatre Company she has danced in many great musical productions at Hereford Courtyard Theatre. She has even made an appearance on Strictly Come Dancing - It Takes Two where she danced the Cha-cha-cha with Lionel Blair prior to the live show of Strictly Come Dancing. Rebecca has a gorgeous daughter Elizabeth. Liam joined the agency as a Trainee Sales Negotiator in June 2015 and has been making excellent progress towards becoming a full estate agent ever since. He is currently undertaking his qualifications towards his NFoPP Level 3 Technical Award in the Sale of Residential Property which is a well-respected and nationally recognised industry qualification. Once passed, Liam will be able to officially call himself a member of the National Association of Estate Agents. Liam is learning the trade by accompanying Andrew and Craig on valuations and conducting independent viewings along with office based in-house learning. He finds the job very interesting, visiting a variety of properties and meeting different people and is hoping for a long and successful career in estate agency. Football mad, Liam is a Manchester United fan who loves to travel, visiting Dubai, swimming in Greece, skiing in the Alps – anything to keep busy and active!